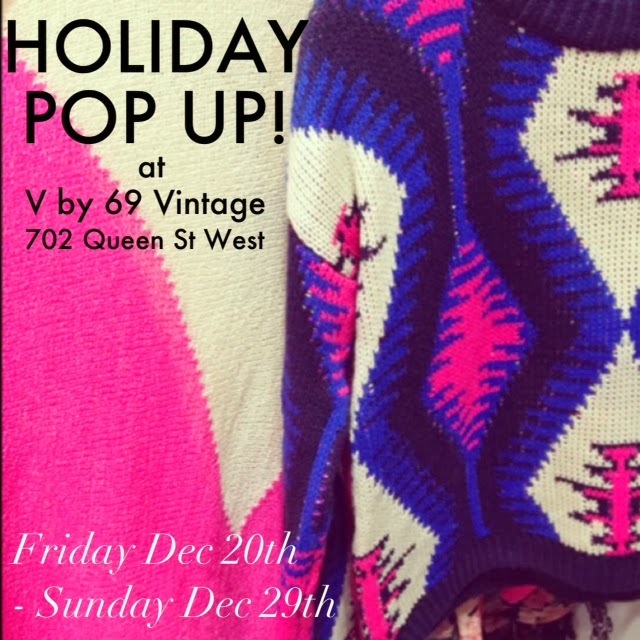 We are thrilled to announce that we'll be joining the lovely Kealan and team at V by 69 Vintage for a last minute holiday pop-up inside their gorgeous vintage boutique at 702 Queen Street West! Starting this Friday evening you can find us bringing the holiday cheer with a brand new collection and some great gift ideas! Plan to pop by this weekend during your final run-around, and we'll be sticking around all next week for your New Year's needs as well!